This puppy need rescue help ASAP! Very sweet and gentle, just not feeling well. He appear to have demodex mange. Shelter states he have been dewormed. Please share and tag for help! Shelter is FULL with owner surrenders coming in today. Mitch is a sweet pup who has been on his own. He will gently wag his tail when you approach his kennel. This little guy needs a hero in his life. Mitch is around 3 months old and weighs about 10-12 lbs. 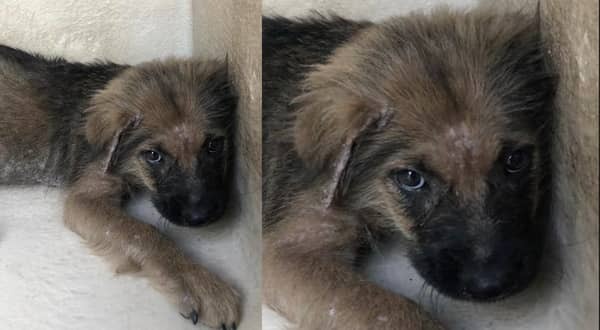 3 Responses to "Terrified 3 month old puppy surrendered to kill shelter, left with no more tears to cry"
Is there a update on Mitch? Can you please update on Mitch? Has he been rescued or adopted?